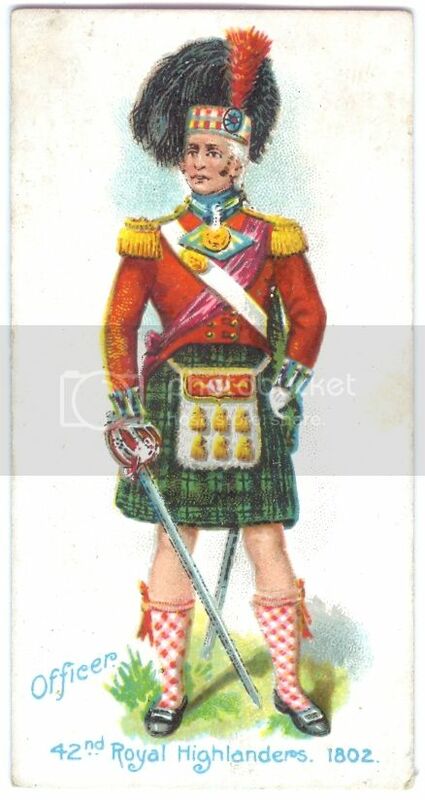 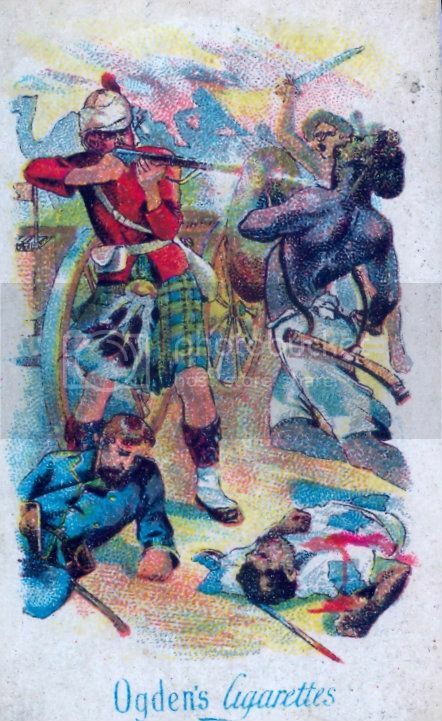 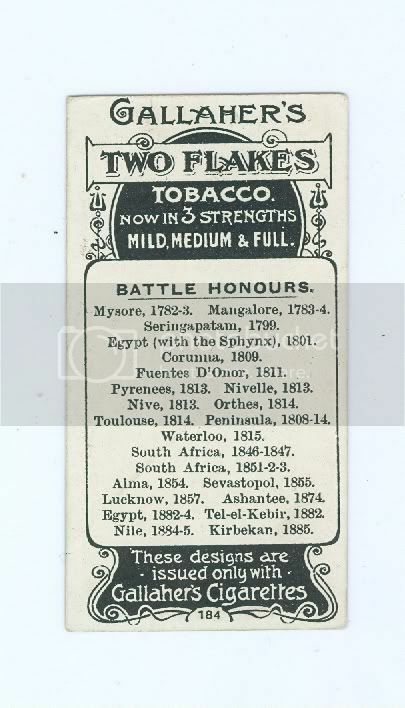 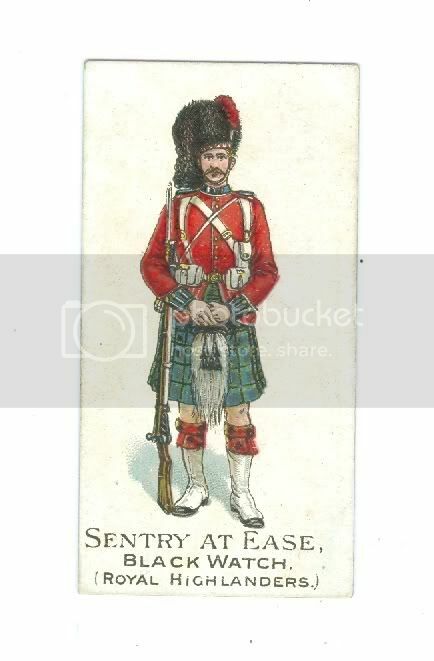 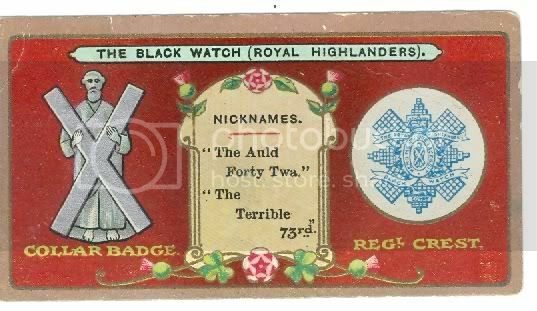 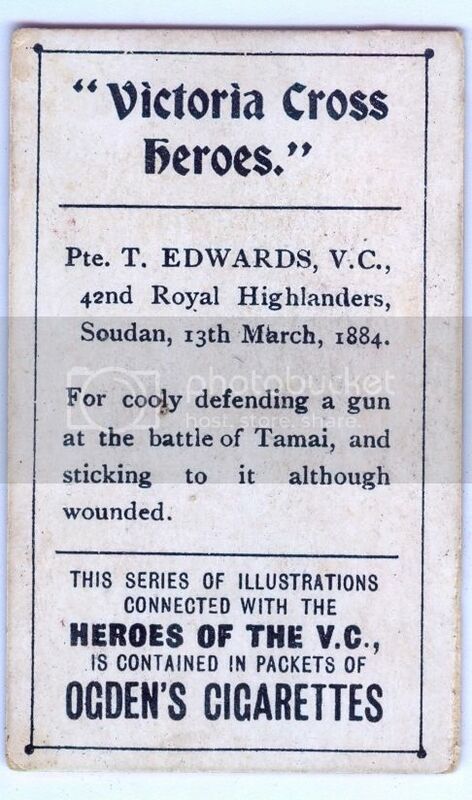 Thread: Black Watch cards from my collection. 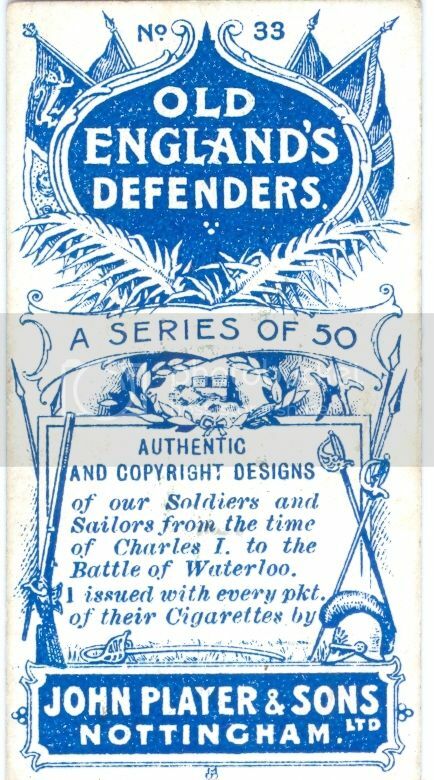 Players Old Englands defenders 1898. 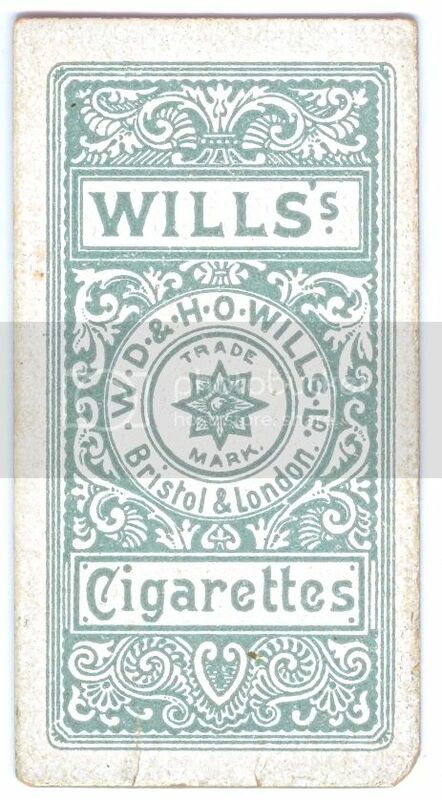 Wills Soldiers and Sailors 1894. 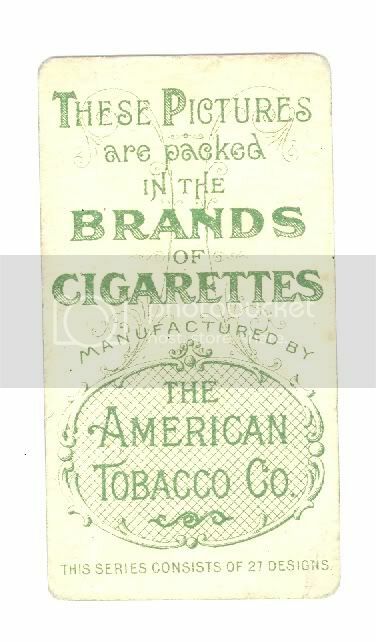 American Tobacco Co Military Uniforms Series B 1894. 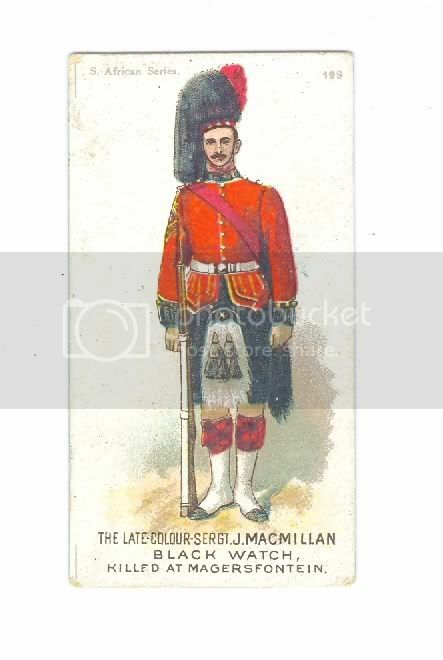 Plain back. 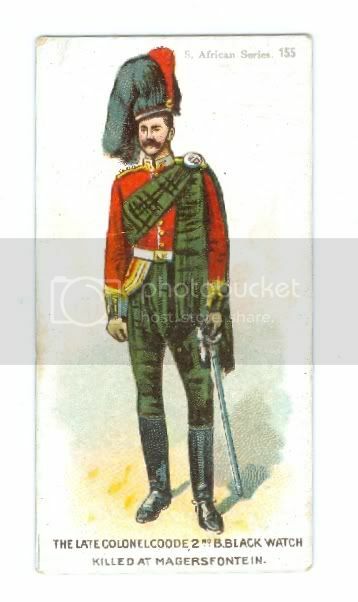 Gallahers Types of Army 1898. 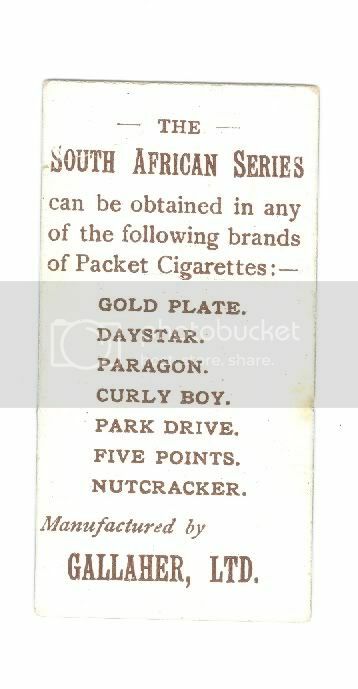 Gallahers South African Series 1901. 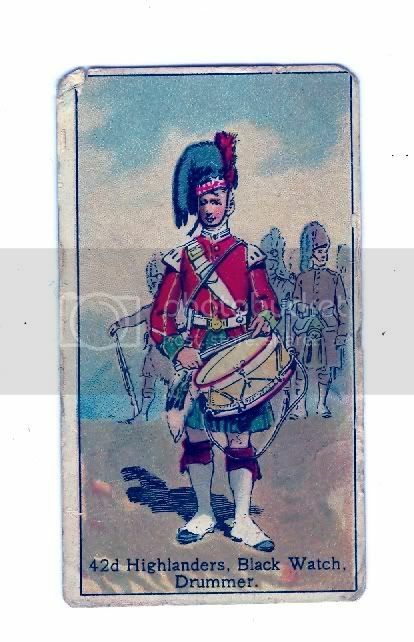 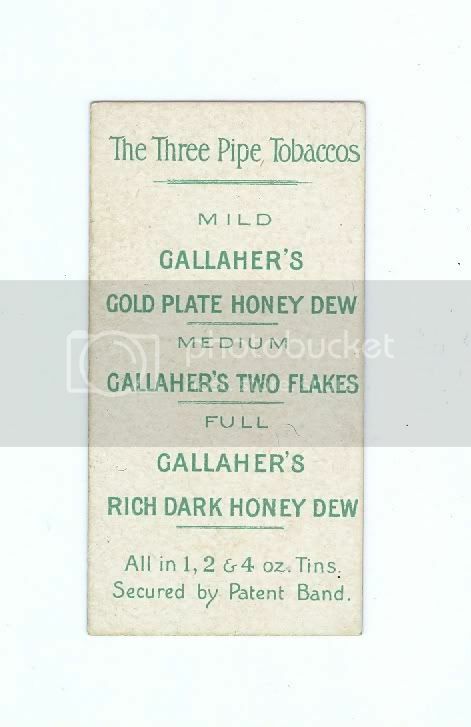 Gallahers 1901 same series as above, unusual to have a named soldier. 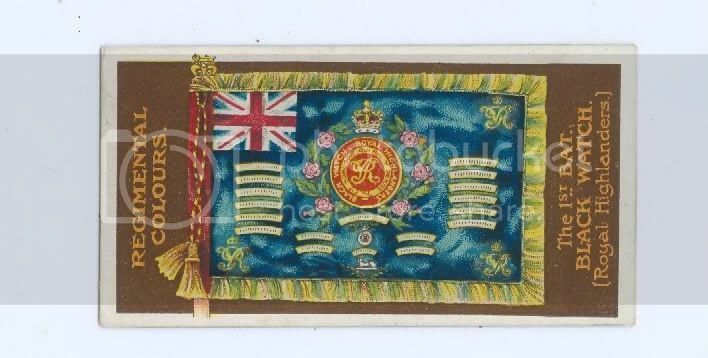 Gallahers 2nd Bn colours 1899. 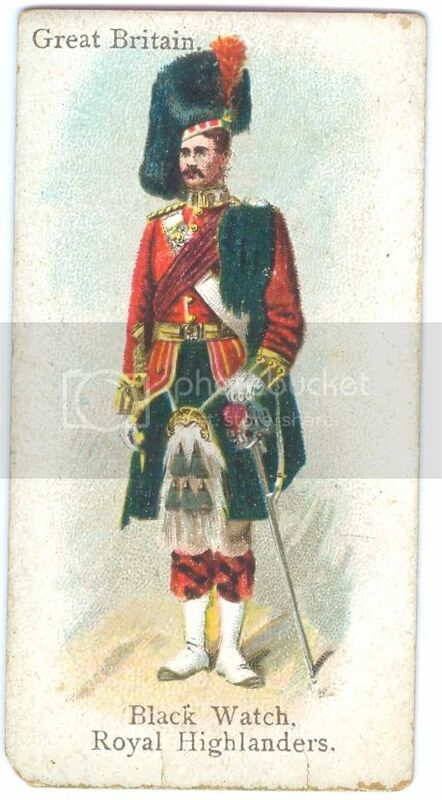 American Tobacco Military uniforms series D 1900. 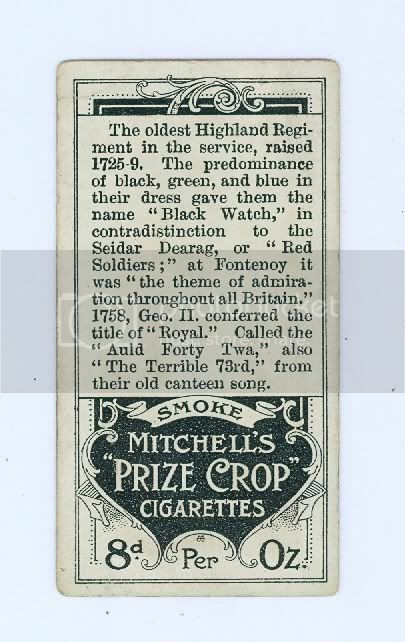 Mitchells Crests and Collars 1900.